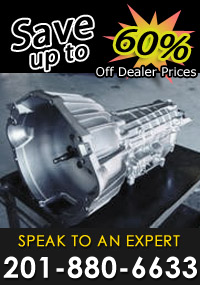 Are you looking for a transmission repair shop in NJ? European Exchange has been the transmission repair shop in NJ, for many car owners and mechanics, since 1992 with fair prices and excellent customer care. Originally starting out in a 3000 square foot building, our company has rapidly grown and found it necessary to expand. In 1998 we relocated a short distance away to our current facility, which occupies 10,000 square feet. European Exchange distributes its products nationwide, supplying many independent & franchise transmission shops as well as general repair facilities. We also provide many major warranty companies with a source of remanufactured transmissions. Our facility has 6 lifts for customers and businesses that prefer the independent work to be done by our technicians. To supply our customers with transmission needs, we have over 2500 remanufactured cores that are supplied with converters and a one-year unlimited mileage warranty. Along with our line of import transmissions, we can supply the need for domestic transmission units as well. European Exchange is also proud to be the sole supplier to the transmission industry of leading car diagnostic scan tool. Looking for gearbox repair service, our transmission repair shop in NJ provides gearbox repair in North NJ as well as free vehicle diagnostics. For more information about our transmission repair shop in NJ, call European Exchange at (201) 880-6633. European Exchange - your trusted transmission repair shop in NJ.